A green Westminster plaque marks where the Eliots of Crawford Mansions lived on Homer Row. American born poet and playwright T.S. 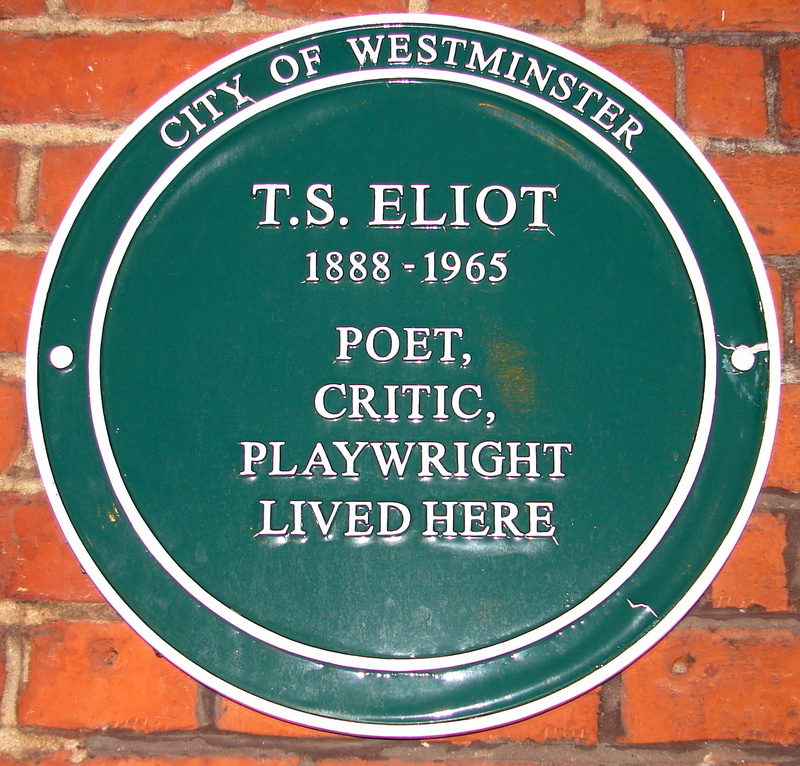 Eliot moved into 18 Crawford Mansions with his wife, Vivienne, in March 1916, shortly after the publication of The Love Song of J. Alfred Prufrock, the poem that made him famous. An enviable location by today’s standards, the address was not so attractive in the early 20th century. Sat in the triangle between the Edgware Road and Marylebone Road, it was surrounded by “slums and low streets and poor shops”. The residence was noisy and in Vivienne’s own words: “the tiniest place imaginable”. It was also lonely. Vivienne wrote in a letter to her mother-in-law that “no-one around us knows us, or sees us, or bothers to care how we live or what we do, or whether we live or not”. Yet their Crawford Mansions was newly-built, a five-storey residence that boasted “every modern convenience”, including constant hot water, a great luxury at the time. Just a stone’s throw from Edgware Road station, then part of the Metropolitan Railway, it was, and is, a handsome building and the couple were very proud of it. Their flat was near the top of the block and overlooked the courtyard sandwiched between their building and the houses on adjacent Homer Street. The limited space meant the Eliots had to be canny with their living arrangements. The dining room doubled as T.S. Eliot’s study and was where he did most of his writing despite the ‘fashionable’ orange wallpaper Vivienne chose to adorn the walls. 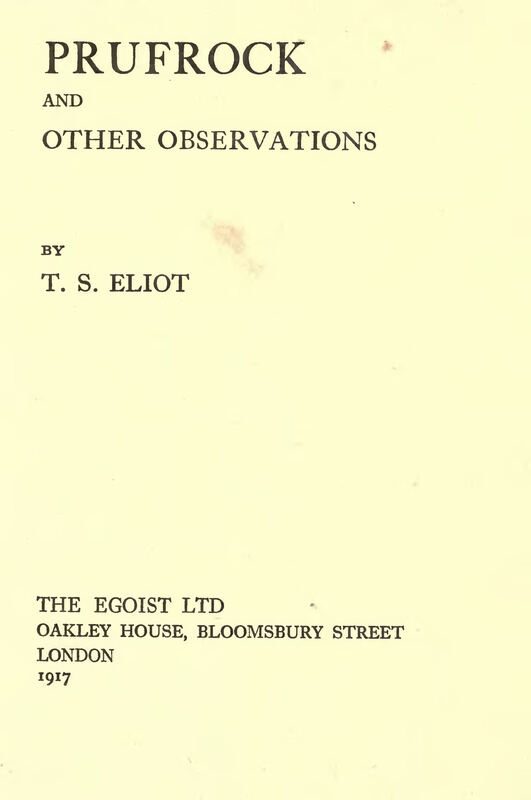 At the time, Eliot was working as a teacher at Highgate School where he taught a young John Betjeman (he who would later recite a poem from the roof of Marble Arch). He also wrote book reviews and lectured in the evenings at University College London to earn extra money. The cramped living space and his increasingly strained relationship with Vivienne soon took its toll. 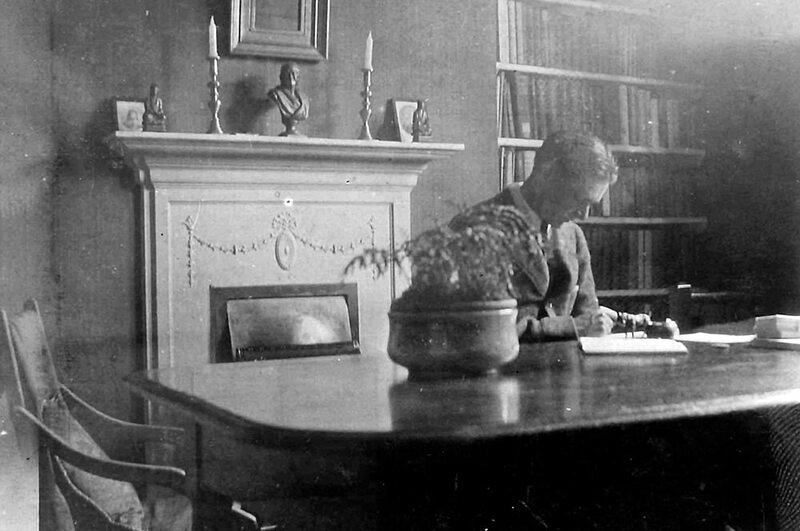 Scholar James E. Miller Jr wrote that “the atmosphere within the marriage, within Crawford Mansions, was oppressive” and “Eliot tried to escape the misery… as often as possible”. The couple took on a property in Buckinghamshire in 1918 but Eliot continued to work in London, commuting by train, and benefitting both “mentally and physically” from staying nights in their Homer Row residence. The Eliots left the countryside and both returned to the “little noisy corner” of Crawford Mansions in 1920. From the apartment they looked out at the pub across the street (now The Larrik, previously the Laurie Arms) and two ‘actresses’ who lived above them would shout to friends in the street and play the phonograph very loudly. It was time to go. By September 1920 they had found a new home in Clarence Gardens near Regent’s Park – “free from the neighbourhood of prostitution” – and finally left Crawford Mansions the following month. Today Homer Row and Crawford Mansions are incredibly desirable locations with 2 bedroom apartments overlooking the courtyard commanding £1m or more. It is said that the only original feature remaining at number 18 from the Eliots’ time there is the mantelpiece.